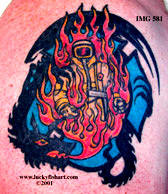 These tattoos were sent to us by Pat Fish of Luckyfish, Inc. in Santa Barbara, CA. 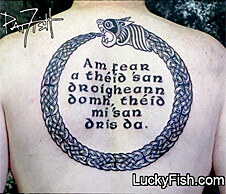 Pat is know world wide for her Celtic design tattoos. 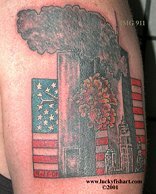 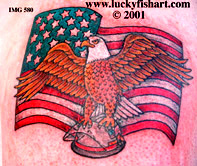 She has been featured on many television programs including "Tattoos:Women of Ink"
or visiting the Lucky fish website.